While GungHo Online Entertainment America may be a relatively new company, its parent company has some incredibly extensive backlogs filled with cult classics and esoteric hits! Today, for the first time ever, GOEA has brought six of these old-school Japanese PlayStation games to America. This post will discuss what these games are all about, how they play, and how accessible they are to the non-Japanese speaking crowd! Zanac is a classic shoot ‘em up that was originally released on the MSX and later ported to the NES. It was later tweaked, revamped, and made ever-more-awesome in its sequel, Zanac Neo. ZANAC x ZANAC contains three different versions of the original Zanac, as well as Zanac Neo in one neat little package. While rail-shooters and bullet hell games are nothing new, Zanac represents a level of polish and style worthy of being considered a true classic. Its appeal lies in its use of eight different sub weapons and a main shot that can be charged up for some serious damage! Enemies will assault you from all angles, and you will have to keep your wits about you as you strategically dodge and blast your way to victory. In terms of accessibility, ZANAC x ZANAC is easily the most playable game on today’s list. With virtually no Japanese reading skill required, you can get a very fulfilling (and incredibly challenging) shoot’em up experience! 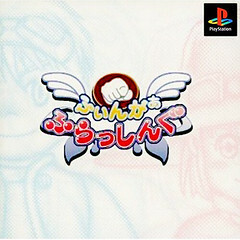 Originally released on the Super Famicom, this 2D fighter was given new life and revamped graphics in its PlayStation iteration. This quirky fighter is filled to the brim with wacky, charming fun. With character archetypes ranging from magical schoolgirls to zombie comedians, it’s hard to ignore this game’s unique style. Each character has his/her own set of super moves (utilized in the familiar down forward punch [DFP] style) and crazy backstory. Unlike most fighting games, you can also make use of magic through your MP (Makenki Power). These spells can make you stronger, weaken opponents, or even heal you in a pinch! Not much Japanese is required to play, but you will miss out on the event text and may need some assistance navigating menus. Once you’re all set up though, beastly punches and kicks are NEVER lost in translation! This crazy vehicular combat game takes place in a dystopian future where conflict is decided in the only logical way possible: MECHA COMBAT. Customize your giant robot fighting suit and go toe to toe against the toughest foes in the land while you complete a series of missions. All eight characters have a unique story to explore, but that’s only if you can survive! Earn some cash as you crush your enemies, then head back to the garage to transform your mech into the mightiest machine in town. There is a ton of customization involved in loading out your mech, and with 300 weapons to choose from, your options are virtually unlimited. The combat is accessible, but for non-Japanese speakers, Google Translate will definitely come in handy while navigating the menus. This adorable match-3 puzzle game is loaded with brain-busting puzzle goodness. 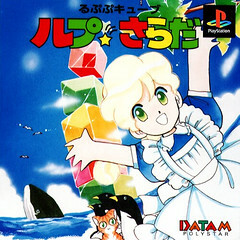 To clear a stage, you must move your disturbingly cute hero, Salad, as she attempts to remove all colored cubes by matching up three in a row. The game’s challenge stems from the hero’s very limited movement capabilities. Players are able to push blocks and fall from any height, but climbing back up is a different story. Salad can climb up a single block and jump the space of a single block. If two blocks are stacked on top of each other, she can push the lower one, but the block on top will ultimately fall – resulting in crushing defeat. 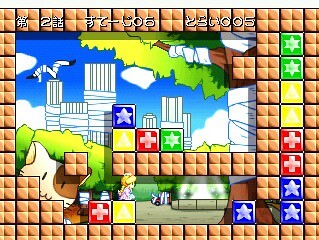 No Japanese is needed to push the blocks around, but there is a great deal of event text between chapters. You might not be able to fully experience the story, but you will certainly be able to enjoy two hundred levels of challenging puzzles without having to master Japanese. If you are unfamiliar with the Japanese subculture of Dekotora (or Art Trucks), you are certainly in for a treat. While America was rockin’ out to the one-hit wonder trucker song “Convoy,” over in Japan trucks were being overhauled with garish and awesome accessories and designs. The more ridiculous your truck looks, the cooler you are! It’s kind of like the custom car scene here in the States! The game is relatively text heavy, and without some handy translation (or a bilingual friend with whom you can enjoy the game’s multiplayer mode) you are in for a bumpy ride. If you can muscle your way through menus and event text, you will be truckin’ it up with the best of them. Just remember – the crazier your truck looks, the better you are doing! If you have never heard of “Rock, Paper, Scissors,” “Janken,” or “Roshambo,” then I’ve got no idea how to introduce this next game. That being said, Finger Flashing is a challenging and addictive take on a centuries-old classic. 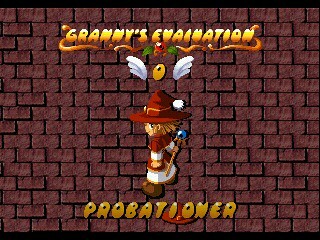 You play as the hero Poi (or her friend Cikke) who is on her way to an important wizardly exam. Her plans to graduate on time seem thwarted when a herd of monsters invade the town and block her path to success. The only way to fix this mess is to destroy all invaders with the almighty power of the Rock-Paper-Scissors School of Magic. 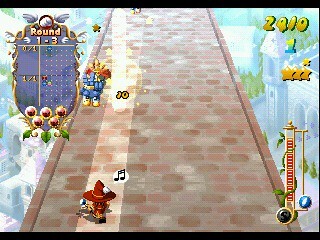 Players march down an ever-moving path as monsters approach from the top of the screen. Each monster will be decked out in the regalia of rock, paper, or scissors, and to defeat them, you have to blast them with their opposing hand. As easy as this sounds, it gets pretty tricky and complicated as monsters begin attacking in groups. Luckily, you can take them out by matching up chains of the classic Rock-Paper-Scissors formula. If you see monsters of the scissor and rock variety walking down the road side by side, you can combo them by shooting paper at the rock. This will set off a chain that makes the rock monster destroy his scissors-wielding friend. If you had just shot a rock at the scissors monster, it would have been destroyed, but it would have left the rock monster barreling down on you. Combos are the key to your survival once you face up against bigger and bigger monster groups. While you may get a little tripped up in the bare-bones menus, the only thing you will miss out on in this game is the brief story event text that pops up when you aren’t puzzle-fighting. So there you have it. Six classic Japanese delights available now for American consumption, at just $5.99 a pop! Hopefully after reading this post you’ve got all the info you need. With a little patience and some free translation software, you’ll be all set to enjoy some imported goodness. Love the fact these are being offered!!!!! Thanks!!!! When they first started releasing imports, I thought it was kind of strange, but I realize it’s awesome to have a chance at games that otherwise never would have left Japan! Is this the only PSN store update for the week? I do not believe so: this particular link was shared with me yesterday! Oh man I would LOVE to see that on the PSN. Back in the day, my friend had it and I was super jealous. Great! I’d like to give all of these a try eventually, but I am most excited about finally being able to play some Zanac. Will these be playable on Vita? I don’t believe imports are compatible with the PS Vita at this time, but hopefully that changes in the near future! I’ll double check though as soon as the games go live. Probably MAKERUNA MAKENDO 2 and LUP★SALAD. Hah those are the ones I was delighted to try! I loves me some 2D fightin’ goodness! I also keep hearing things about Zanac X Zanac. So I might look into that. I will try it as well! Hello! Makeruna looks fun :). I would love to see games like Panzer Bandit, Umihara Kawase Shun, Gunner’s Heaven, Asuka 120% Final, Pu-Li-Ru-La and Silent Bomber! Open the floodgates and let all the imported goodness in! Please, will these be compatible with Vita? At the moment, no, but this could change in the future with an update or two! i dont want to be a party popper here but i like to play my games either english dubbed or subbed since my knowledge of nihongo is non-existant.thats why i like to support nisa,xseed,aksys and atlus because of their great localizations.only if licenses werent too complicated then i believe we could enjoy more translated games from the land of the rising sun…. When it comes to Import Classics though, these are games from the ages of yore when there were not so many fine localization companies. They slipped through the cracks and almost never saw the light of day! For these 6 titles, it was either a straight import, or being lost to the ages (at least for western audiences). My knowledge of Nihongo is not the greatest either, and I can assure you ZANAC X ZANAC is still VERY much playable (virtually no Japanese text to worry about). @8 Panzer Bandit is one game evryone should play, I’d love to see it on PSN too. I hope this is just the beginning, hehehe. I definitely think shmups, beat’em ups, and fighting games are ripe for import! I hope all the fantastic ones make it over here. I’m sort of a nostalgia fiend and these games definitely tickle my fancy. This was originally meant as a reply to #11 but then I went and ruined my perfect comment/reply score ratio! Hopefully we get more imports like this. 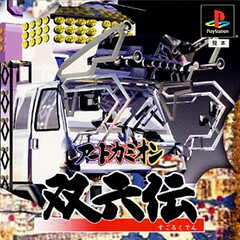 @10: I doubt using limited resources on translating PSone games is a good use of resources. If it’s even possible. I played the original Zanac in the MSX system (I´m old, eh?) and I´m looking forward this release! Love the original game! Props to you for even owning an MSX! Games look great will have to pick a few of them up in the coming days for sure. ^_^ Hope you enjoy them! When does the PS store update today. Not too sure exactly when – but hopefully soon! I imported Lup Salad on the PSP a few year ago. 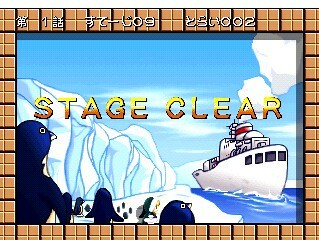 It was a fun puzzle game. Is this the same game, or a different game in the series? It’s the original version of the game that the PSP release was ported from. Nice to see Zanac x Zanac finally on psn. I would have liked screen shots or videos for each games. I have to see what they look like before making any purchases. Zanac is definitely getting a lot of love! If you are interested in looking up the other titles, sometimes using the Japanese name helps find more images/videos. not really interested in imported games, especially shoot em ups and puzzlers. But its nice to see this option on psn store for people who do like it i guess. Having more options is ALWAYS a plus! Zanac x Zanac looks rad! I just watched a video and it has awesome music too. It’s too bad these don’t work on Vita (hopefully in the future). Bonus points for use of the word RAD! Screen shots of all of these would have been appreciated. Sorry they aren’t included here! I know some screen shots went out with our press release and should be floating around the internets as we speak! Also as I mentioned in #18 – you may want to try out an image/video search of the Japanese names to get even more media content. They are cool – and they are BRUTAL! AWESOME!!!!!!!!!!!!!!!!!!!!!!!!!!!!!! Keep them coming and I will keep buying them. Can’t remember the name off the top of my head but I love the one with the kid who rides the vacuum cleaner. Thanks for the great news. I can’t wait to get home. Hah yeah – I know the one you mean! Japan really does have some great quirky shmups!!! I’m suprise ya’ll have not put up Dragonball Z Legends. Its the only ps1 DBZ games of the three that has never made over to the states, which it is by far the best once you get the hang of it. Would that I could! Classic games tied to popular anime is tricky business I’m afraid. 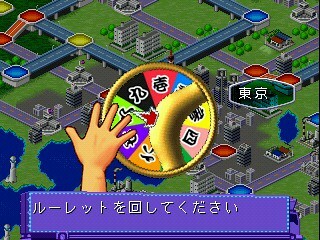 I know of some 16-bit Sailor Moon games I’d LOVE to see in the states! Did I say Sailor Moon? I meant to say Dragonball… and uh… Yu Yu Hakusho… and um… other cool manly games! Antonio, great job at doing replies, wish everyone would do it like you are now. I felt like my last blogs had a pretty poor ratio, and I was envious of my peers who replied to every comment. I was determined to do the same from now on!!!! I don’t usually comment but I just wanted to say thank you for getting these games on the psn. These games are hard/expensive to come by and this makes it easy for us in the states to be able to play them. I’d love to see more in the future from you guys. Also I’ll probably buy all of them just to support you. We LOVE hearing feedback like this! It’s great to know there is such a strong following for these types of games. Yay, more imports! Usual PSN prices, or should we expect an “”import tax”? 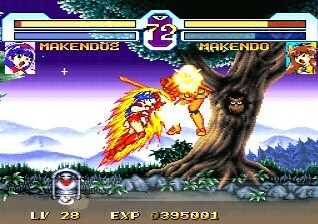 Also worth noting Makendo2 is a sequel to what was known as “Kendo Rage” in the US, on SNES. Never knew there WAS one until this stealth announcement here… so cool beans! As mentioned in the blog, they will be 5.99 a piece! It really is weird to think of it as a sequel to Kendo Rage isn’t it? I’m always blown away when games change genre mid series! 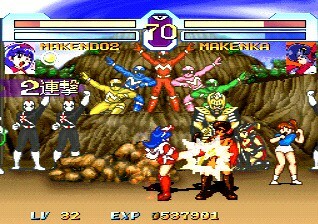 I played the SNES version of Makeruna Makendo 2 a while back, and it was a pretty wild game. I wonder if it was the first fighting game with a boss character too large to fit on the screen. Are we going to have to worry about your license for these games running out any time soon, like with monkeypaw and the games Kyuiin and Magical Drop? As for license issues, it’s impossible to say what the distant future will hold, but I don’t see these games going anywhere anytime soon. We would definitely update our users if this changed. Any chance of ever getting Konami’s Tokimeki Memorial: forever with You Series as PSone imports? Also, Why haven’t Iseen any new PSone games recently? Iwas hoping for Street Fighter EX2 Plus, Fear Effect and the first Dead or Alive game. We don’t hold the licenses for those particular titles, but I’d love to see them as well! Hey, Antonio, can’t believe I’m the only person to say this here, but I freakin’ LOVE Dokuro! I usually hate platformers because I’m not an old-school gamer, but on the Vita Dokuro is perfect. Huge value. I stayed up till 4 am on a work night playing this. I love the little guy but sometimes I’m so fed up with the princess that I deliberately crush her. It can be very challenging working out some of the environmental puzzles but I’ll keep at it until it’s too hard. I hope I can finish it. So thanks to Gung Ho for Dokuro. I think everyone here is more interested in the PS One Classics that are available starting today, but I love when people give some love to my favorite little skeleton friend! Hope you continue to enjoy our titles!!!! If only we could get them all. While these games all look good in their own right. I will not be impressed with any new classics coming to the PSN until I can play my copies of Crash, Spyro, and Blood Omen on my Vita. I would like to beat the games I ALREADY OWN before I try my hand at new challenges. If a perfect world, all my classics would work on the Vita. I know they have regular hardware updates that increase compatibility, so I just hope they keep them coming! I am definitely a fan of playing classic games on the go! 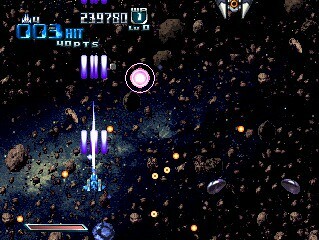 Zanac X Zanac (along with Gradius Gaiden) are hands down the best shoot-em-ups of all time on the PS1. I used to love playing Zanac Neo on my PS2 roughly 10 years ago and I have it on my PSP as well! 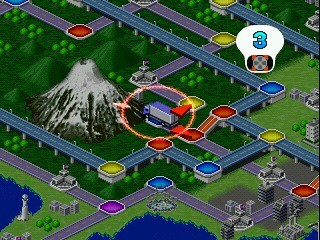 It’s also Compile’s swan song, being the last game they released before it’s demise and they truly left us with a gem. They certainly left behind a legacy of greatness! I still wander through message boards that speak of the great Compile Shmup collection…. I may not have looked lately, but are there any GungHo PSN avatars? Look at that Dokuro image! Not yet! But we are working on getting the Dokuro ones over here! These are great! Will definitely be grabbing Vehicle Cavalier! Now…if Panekit were announced to be getting an import release with Vita compatibility, I’d build a time machine so I could get it now! Just make sure you don’t accidentally change the course of history so you were never born… then who would play your copy of Vehicle Cavalier?! I´d love to see Valkyrie Profile here, it´s one of the best RPG of all time! I LOVED that PSP version personally. Great games are great! When Final Fantasy IV PSOne Classic? Japan already have the game. Oh man. LUP★SALAD is giving me some Wild Arms 3 Millenium Puzzle vibes for some reason. But the Salad is 2d so there will be no accidentally falling off the stage and having it reset on you, followed by moments of rage and hours of weeping! I’m down with this one for sure. FINGER★FLASHING will likely be picked up at some point. A wizards greatest magic being rps? That’s so silly it has to be great! ART CAMION SUGOROKUDEN is one I’ll surely poach on a day with a lot of free time. It looks like something that can be brute forced and still be fun. If PS2 Classics emulation (or however that works) wasn’t so sketchy, which games from that console would you all like to bring over as imports? Hopefully you will find less rage and more enjoyment out of these particular gems! And never underestimate the power of Rock-Paper-Scissors style combat!!!! As for PS2 Classics… there are a couple fighting games that I know will never see the light of day in America because they would require too much cross licensing from tons of different companies. Thank you so much for releasing these! I will definately be picking up Zanac and Vehicle Cavalier. We hope you enjoy basking in the awesome! Oh man, LUP★SALAD is one of my favourite games EVER. Thanks for bringing this over, totally unexpected! LUP★SALAD!? I love you guys. Any chance for Panzer Bandit, and Chippoke Ralph no Daibouken? Both seem like they should be shoe-ins for the import section. LUP★SALAD is pretty darn cute isn’t it? No guarantees for specific titles, but we hope to continually provide awesome titles across various platforms for all to enjoy! Please PSN people I am begging you, PLEASE put Ore no Ryouri on the PSN pleeeeeease. I played the demo on an old PS1 demo disk ages ago and it was glorious. I’d pay 20 bucks to be able to play the full game finally after all of these years! I had to research that game once I saw the title and it looks FANTASTIC! It’s really cool to see more imports incoming. 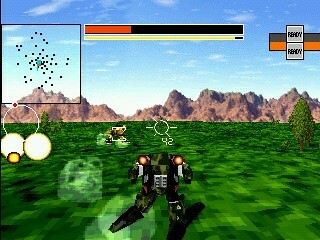 I think the mech game looks cool. I’m going to have to check out some youtube vides of it. 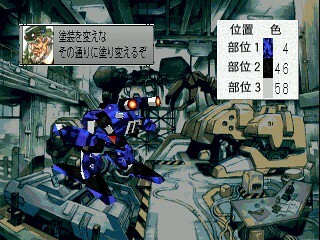 Boy would I love to see Gundam Battle Assault 2 uploaded to the psn. If you don’t find any cool YouTube vids, I know Nico Nico Douga has some! After seeing these imports were coming a few days ago, I was all excited to buy Zanac for my Vita – but alas! 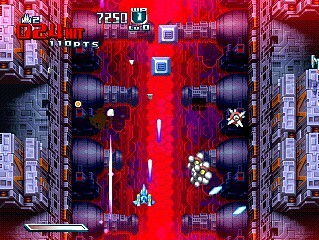 I really hope these will be made available for Vita, and hopefully more shmups like Sokyugurentai will show up. Definitely! I think the more ways we can play our classics on the better! I’m playing Makeruna Makendo 2 on my PSP right now! I’ve also confirmed ALL TITLES work on my PSP-2000 (transferred from my PS3). Sorry it took so long to get back to you, I had to confirm this before I said anything! We have also contacted Sony about the discrepancy in text. I love that GungHo is finally hitting the US. Can’t wait to see what the future holds. Side note: Dokuro has been the highlight of my VIta ownership thus far. It’s a brilliant puzzle platformer that I had a wonderful time playing through. I’m very much looking forward to the future as well! Glad to know you loved Dokuro as much as I did! Nice, ZANAC X ZANAC and MAKERUNA MAKENDO2 both looks interesting. I’d give them a try if I had a PS3. Hopefully these become compatible with the PS Vita sometime in the very near future. There are about 4 of the six games that i would by, glad to see the imports have come back it’s been to long since they have been any imports in the psn store. Hey 2/3 ain’t a bad ratio!